Client: Groninger Forum Groninger Forum asked us to participate in their project “De Grens Voorbij”. 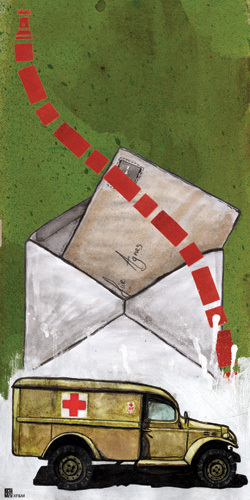 They collected unique stories from and about the people living in the border region between Groningen and Germany. 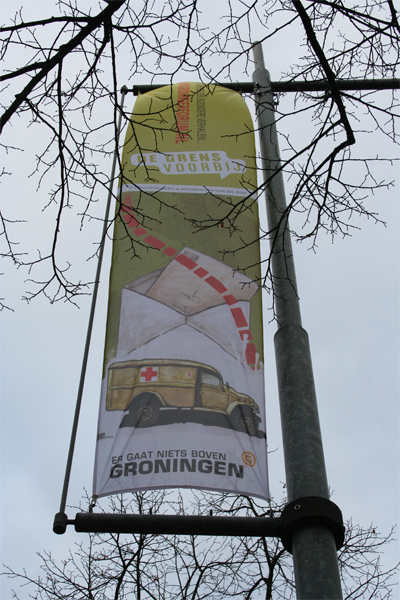 We made illustrations for two stories, which were then printed on banners and distributed throughout the border region (Groningen NL – Oldenburg GER).